EDDY, JONATHAN, army officer and office holder; b. 1726/27 in Norton, Mass., son of Eleazar Eddy and Elizabeth Cobb; m. 4 May 1749 Mary Ware, and they had four sons; d. August 1804 in Eddy Township (Maine). 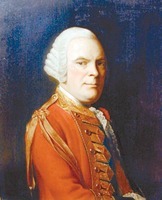 Jonathan Eddy’s military career began in 1755, when he enlisted in the New England force under John Winslow* which was to participate in an expedition against the French Fort Beauséjour on the Chignecto Isthmus of Nova Scotia [see Robert Monckton*; Louis Du Pont* Duchambon de Vergor]. Three years later he received a Massachusetts captain’s commission to raise a company for “the Reduction of Canada,” but the expedition was aborted after James Abercromby*’s bloody failure before Fort Carillon (near Ticonderoga, N.Y.). Then in the early spring of 1759 Eddy received another captain’s commission to recruit men from the Norton region to serve at Fort Beauséjour, now renamed Fort Cumberland. Eddy remained there from 5 May 1759 until 30 Sept. 1760. After his discharge in 1760, Eddy returned to Norton. Three years later he and his family moved to the Chignecto region. Like thousands of other New Englanders, he had been attracted to Nova Scotia by the offer of cheap and fertile land and by the promise of an abundant future. He emigrated to a land he knew well. 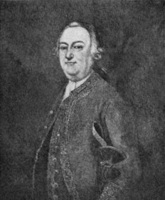 Soon after his arrival he became deputy provost marshal of Cumberland County, and from 1770 to 1775 he served as a member of the House of Assembly. Apparently Eddy did not take his Halifax responsibilities too seriously, for on 20 July 1775 his seat was declared vacant for non-attendance. At approximately the same time, Eddy and his friend John Allan were taking the lead in the development of a revolutionary movement in the Chignecto region while they grew increasingly enthusiastic about the patriot cause in New England. Many New Englanders who had settled in Nova Scotia became opposed to provincial authority as events developed in their native country, and Eddy and Allan were greatly encouraged by what they perceived to be a growing anti-British feeling throughout the province. During late 1775 and early 1776 Eddy in particular seemed to be obsessed with precipitating a major insurrection in the colony as quickly as possible, an end he hoped to achieve by encouraging George Washington and the Continental Congress to send an “army of liberation” to Nova Scotia as had been done in Canada [see Richard Montgomery*]. Consequently, in February 1776 Eddy and 14 associates left the Chignecto region to discuss the situation with Washington. 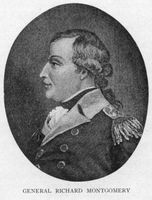 On 27 March the American general listened patiently to Eddy’s arguments for invading Nova Scotia but because of “the present uncertain State of things” could not offer any military assistance. A rather disillusioned Eddy next made his way to the Congress at Philadelphia, Pa; there his urgent request also fell upon insensitive ears. In May he returned to Cumberland County, and decided to make a final appeal to the General Court of Massachusetts for an offensive to liberate Nova Scotia. In August the Massachusetts government rejected Eddy’s proposal, but promised to provide supplies and ammunition for any force he was able to raise. Eddy immediately set off for Machias (Maine) where, he knew, there was some support for his scheme. Once at Machias, however, he was able to recruit only about 20 men. 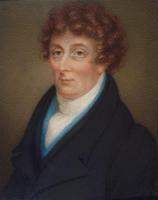 On 13 August, just when this liberating “army” was about to set sail for Nova Scotia, John Allan arrived. Allan did everything in his power to dissuade Eddy from carrying out what he considered to be a foolish enterprise. But instead of listening to the wise advice of his associate, Eddy ordered his men to Passamaquoddy Bay (N.B. ), where seven new recruits were found, and then to Maugerville (N.B. ), where 27 Yankee settlers and 16 Indians including Ambroise Saint-Aubin* enlisted. The small force then slowly made its way towards the Chignecto Isthmus with the aim of taking Fort Cumberland, capturing on the way a detachment posted by the fort’s commander, Lieutenant-Colonel Joseph Goreham*. On 5 November Eddy’s force, strengthened by a few Acadians from Memramcook (N.B. ), arrived near the British fort. By this time Eddy had learned that the Halifax authorities had issued a proclamation offering rewards of £200 for his capture and £100 for Allan’s. The pro-American Cumberland settlers were profoundly disappointed with the small size of Eddy’s force and its lack of artillery, and in order to counteract this feeling Eddy made wild promises about the imminent arrival of hundreds of American reinforcements. When these assurances failed to lift the prevailing mood of gloom, he began to threaten his former friends with the destruction of their homes and property, hoping thereby to intimidate them into supporting his proposed attack on the fort. About 100 eventually joined, to give Eddy 180 men as against roughly the same number in the fort. On 12 November Eddy sent in a summons to surrender, which was rejected by Goreham. Accordingly, on the night of the 14th the rebels (who numbered only 80, the rest of their force being on outpost duty and guarding prisoners) attempted an assault, but they were easily driven off; a further attack on the 22nd had no greater success. Eddy thereupon established a blockade in the hope that American reinforcements would soon arrive. But on the 27th British troops under Thomas Batt and Gilfred Studholme* arrived from Windsor, N.S., and on the morning of the 29th they cooperated with the garrison in an attack which drove the invaders towards Memramcook. Once the area was cleared, Goreham published an amnesty which pardoned nearly all of the Cumberland settlers but which specifically excluded Eddy, who made his way to Maugerville and then to Machias. Although he was later to entertain ideas about another attack on Fort Cumberland, no further invasions of Nova Scotia took place during the revolution, and American efforts shifted to attempts to draw the Indians of the region to their side [see John Allan]. In many respects, the so-called Eddy rebellion was a comic-opera affair. It showed, however, not only how weak the revolutionary movement was in Nova Scotia but also how little real interest there was in New England in the liberation of what has been termed “New England’s outpost.” In the final analysis, especially when it is realized that the Royal Navy’s presence in Nova Scotia waters exerted a profound influence on the strategic realities of the area, it appears obvious that Eddy’s task was a hopeless one. 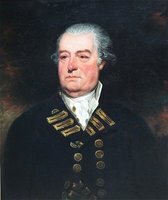 On returning to Machias, Eddy was placed in charge of the settlement’s protection, and in August 1777 he participated in the defence of Machias against an attack by the squadron of Sir George Collier*. After the incident, probably because of the spirited criticism of John Allan and other former Cumberland friends over his handling of the defence, Eddy returned temporarily to his birthplace, and then in 1781 moved to nearby Stoughtonham (Sharon). During 1782 and 1783 he was Stoughtonham’s representative to the General Court. In 1784 he decided to settle on the east side of the Penobscot River (Maine) in what would become Eddy Township. Here he became the factotum of the community which developed on the site. 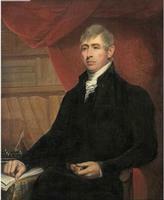 He was chairman of the committee which called his old Maugerville friend Seth Noble to the church at Kenduskeag Plantation (Bangor), and on 19 June 1790 he was appointed a special judge of the Court of Common Pleas, registrar of probate and wills, and a justice of the peace for Penobscot County. In 1800 he was also named the local postmaster. Eddy became involved in trade with Grand Manan Island, N.B., in 1785 after he purchased the schooner Blackbird. In 1801 Congress acknowledged Eddy’s service to the revolutionary cause by granting him 1,280 acres in the Chillicothe district (Ohio). Eddy did not live on this land, however, and died in Eddy Township in August 1804; his wife survived him by a decade. Mass., Dept. of the State Secretary, Arch. Division (Boston), Mass. arch., 144: 161–68; 164: 176, 366–67;192: 205–11; 195: 335–37; 197: 372; 198: 13, 54–56, 62, 97, 239–41; 239: 371. PAC, MG 11, [CO 217] Nova Scotia A, 94: 330–38; 95: 108–10, 113–15; 96: 93, 354–57, 383–85. American arch. (Clarke and Force), 5th ser., 2: 734; 3: 881, 909. “Calendar of state papers relating to Nova Scotia,” PAC Report, 1894: 345, 355–57, 359–65. Military operations in eastern Maine and N.S. (Kidder). [George Washington], The writings of George Washington, from the original manuscript sources, 1745–1799, ed. J. C. Fitzpatrick (39v., Washington, 1931–44), 4: 437–38. Directory of N.S. MLAs, 110, 389. Charles Eddy, Genealogy of the Eddy family (Brooklyn, N.Y., 1881), 19. J. H. Ahlin, Maine Rubicon: downeast settlers during the American revolution (Calais, Maine, 1966), 11–157. Brebner, Neutral Yankees (1969), 271–87. S. D. Clark, Movements of political protest in Canada, 1640–1840 (Toronto, 1959), 53–74. W. B. Kerr, The Maritime provinces of British North America and the American revolution (Sackville, N.B., [1941? ]; repr. New York, ), 62–82. J. W. Porter, Memoir of Col. Jonathan Eddy of Eddington, Me. : with some account of the Eddy family, and of the early settlers on Penobscot River (Augusta, Maine, 1877). G. A. Rawlyk, Nova Scotia’s Massachusetts: a study of Massachusetts-Nova Scotia relations, 1630 to 1784 (Montreal and London, 1973), 219–40. J. D. Snowdon, “Footprints in the marsh mud: politics and land settlement in the township of Sackville, 1760–1800” (ma thesis, Univ. of N.B., Fredericton, 1975). G. [T.] Stewart and G. [A.] 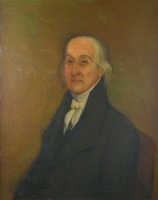 Rawlyk, A people highly favoured of God: the Nova Scotia Yankees and the American revolution (Toronto, 1972), 45–76. D. C. Harvey, “Machias and the invasion of Nova Scotia,” CHA Report, 1932: 17–28. G. A. Rawlyk, “EDDY, JONATHAN,” in Dictionary of Canadian Biography, vol. 5, University of Toronto/Université Laval, 2003–, accessed April 24, 2019, http://www.biographi.ca/en/bio/eddy_jonathan_5E.html.